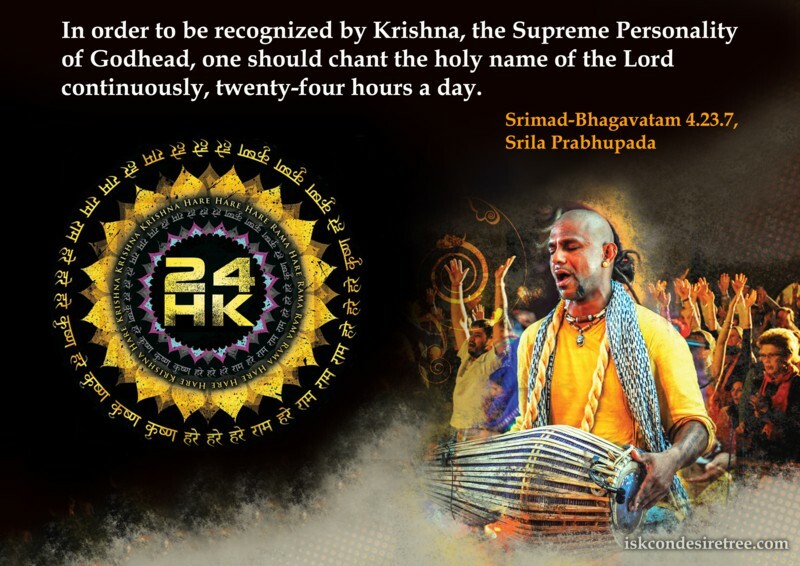 In order to be recognized by Krishna, the Supreme Personality of Godhead, one should chant the holy name of the Lord continuously, twenty-four hours a day. 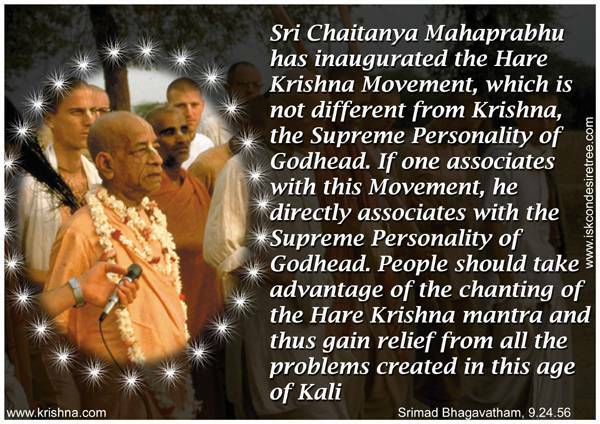 Sri Chaitanya Mahaprabhu has inaugurated the Hare Krishna Movement, which is not different from Krishna, the Supreme Personality of Godhead. If one associates with this Movement, he directly associates with the Supreme Personality of Godhead. People should take advantage of the chanting of the Hare Krishna mantra and thus gain relief from all the problems created in this age of Kali. — Srimad Bhagavatam, 09.24.56. 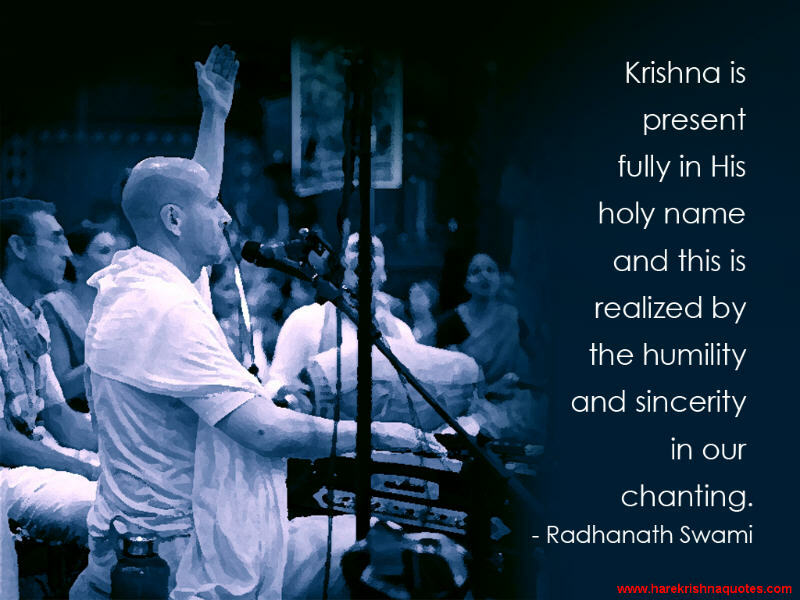 Krishna is present fully in His holy name and this is realized by the humility and sincerity in our chanting. 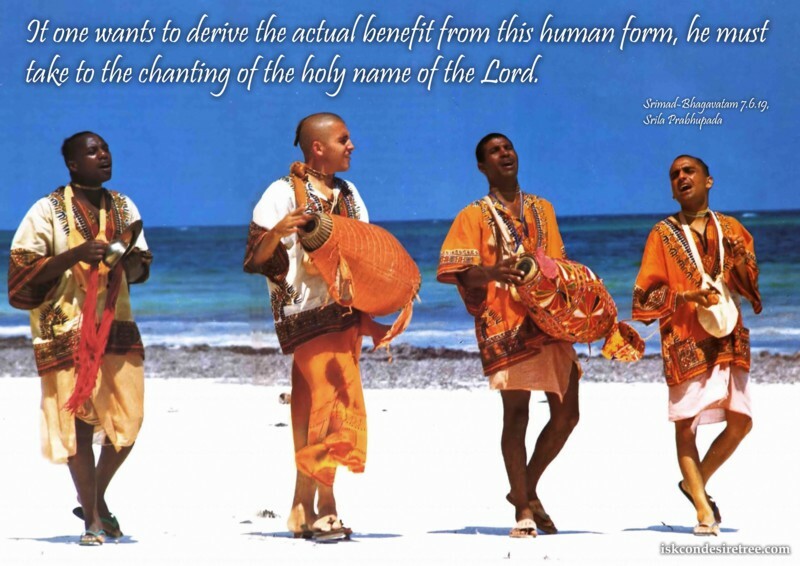 If one wants to derive the actual benefit from this human form, he must take to the chanting of the holy name of the Lord. 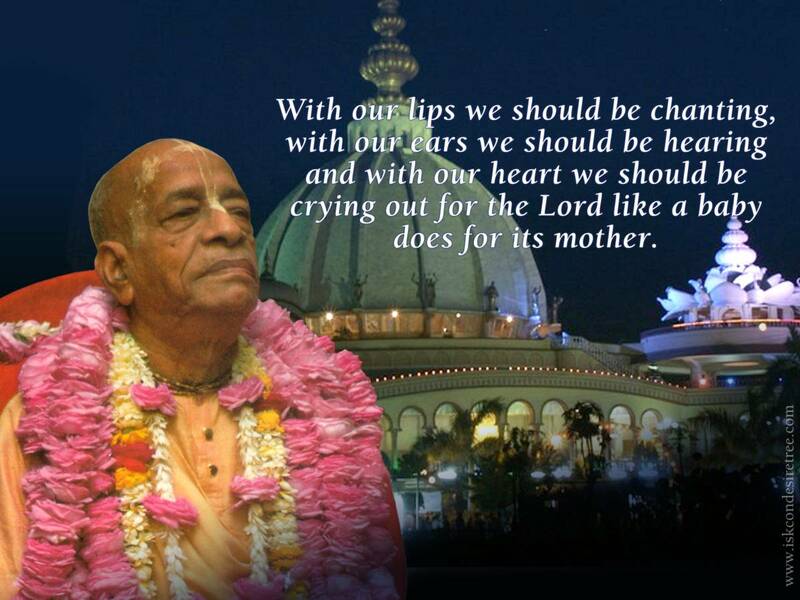 With our lips we should be chanting with our ears we should be hearing and with our heart we should be crying out for the Lord like a baby does for its mother. 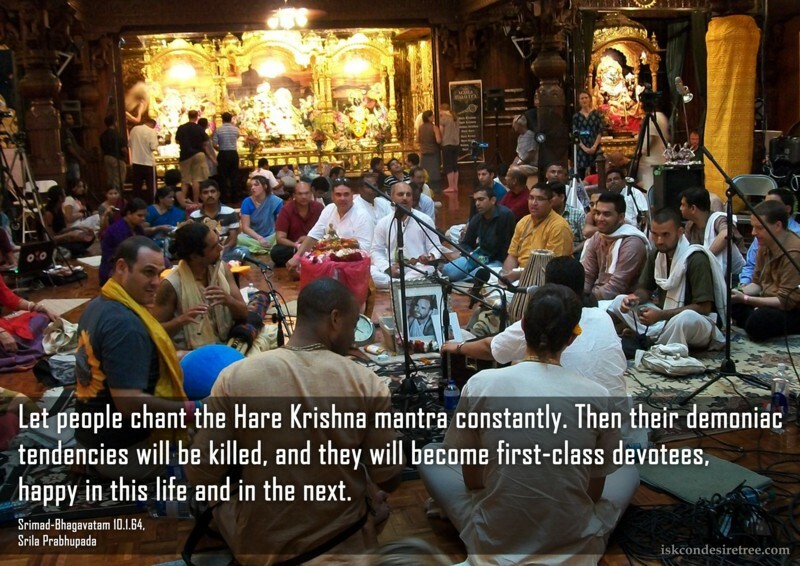 Let people chant the Hare Krsna mantra constantly. Then their demoniac tendencies will be killed, and they will become first-class devotees, happy in this life and in the next.